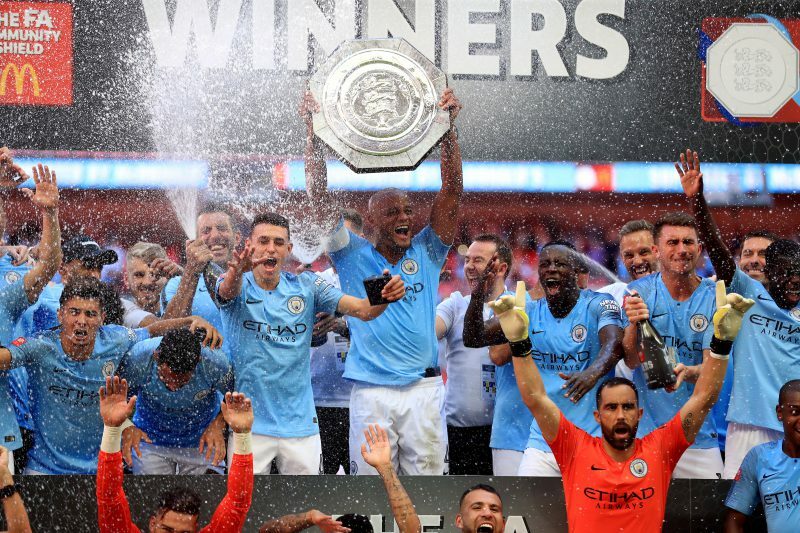 After claiming the first piece of silverware of the season, the Community Shield, Manchester City are already been touted for the Quadruple. British football has only seen this feat done once before, and that was Celtic’s ‘Lisbon Lions’ side of 1967 when they won the European Cup to go with their three domestic titles. No team has ever done it in England, but City were fancied last season to do it, and that dream was extinguished until February when they were surprisingly dumped out of the FA Cup by Wigan Athletic. Now after claiming victory over Chelsea in the season opener at Wembley, Pep Guardiola is looking forward to the season ahead but would not be drawn on potential success. “We have to play with this attitude and what we have done. We’ll see at the end of the season what our level was. When you win, you’re happy,” he said. “We don’t have to think too much about defending the title. That was the first game – we have to prepare game by game. Bookmakers are offering 100/1 for City to win the Premier League, Champions League, FA Cup and League Cup – and they are favourites to win all four. Odds accurate; 06/08/2018 12:00 am.